[S27] John Wright Boyd, A Family History: Lt. Thomas Fortson, etc., above, p. 705 (naming Maude L. Groff as his mother). [S27] John Wright Boyd, A Family History: Lt. Thomas Fortson (1742-1824) and Some of His Descendants—Early Settler of Elbert County, Georgia (Danielsville, Ga.: Heritage Papers, 1973), p. 705 (naming Peyton S. Fortson as his father). [S27] John Wright Boyd, A Family History: Lt. Thomas Fortson (1742-1824) and Some of His Descendants—Early Settler of Elbert County, Georgia (Danielsville, Ga.: Heritage Papers, 1973), p. 705 (giving the date but not the place). [S961] Find A Grave, online at http://www.findagrave.com, memorial for Samuel S. Bobo, memorial no. 35373219, viewed on 11 Apr 2014. [S961] Find A Grave, online, above, memorial for Samuel S. Bobo, memorial no. 35373219, viewed on 11 Apr 2014 (giving the date but not the place). [S1301] The Macon Daily Telegraph, Macon, Ga., 30 Jul 1921, p. 3, col. 2 (obituary of Sam S. Bobo). [S1301] The Macon Daily Telegraph, Macon, Ga., 30 Jul 1921, p. 3, col. 2. [S961] Find A Grave, online, above, memorial for Samuel S. Bobo, memorial no. 35373219, viewed on 11 Apr 2014 (including a photograph of his grave marker). [S27] John Wright Boyd, A Family History: Lt. Thomas Fortson (1742-1824) and Some of His Descendants—Early Settler of Elbert County, Georgia (Danielsville, Ga.: Heritage Papers, 1973), p. 705 (naming William Thomas Standard as his father). [S27] John Wright Boyd, A Family History: Lt. Thomas Fortson, etc., above, p. 705 (naming Mary Elizabeth Heard as his mother). [S27] John Wright Boyd, A Family History: Lt. Thomas Fortson, etc., above, p. 705 (naming Samuel Johns Standard as her father). [S27] John Wright Boyd, A Family History: Lt. Thomas Fortson, etc., above, pp. 705-06 (naming Samuel Johns Standard as his father). [S27] John Wright Boyd, A Family History: Lt. Thomas Fortson, etc., above, pp. 705-06 (naming Samuel Johns Standard as her father). [S27] John Wright Boyd, A Family History: Lt. Thomas Fortson, etc., above, p. 705 (naming William Thomas Standard as his father). [S27] John Wright Boyd, A Family History: Lt. Thomas Fortson (1742-1824) and Some of His Descendants—Early Settler of Elbert County, Georgia (Danielsville, Ga.: Heritage Papers, 1973), p. 705 (naming Samuel Johns Standard as her father). [S312] Social Security Death Index, online at http://tinyurl.com/AncestrySSDI, viewed on 8 Jun 2003 (giving the date but not naming the place). [S312] Social Security Death Index, online at http://tinyurl.com/AncestrySSDI, viewed on 8 Jun 2003 (not naming the place of death but stating that she lived in Columbus, Ga. when she died). [S27] John Wright Boyd, A Family History: Lt. Thomas Fortson (1742-1824) and Some of His Descendants—Early Settler of Elbert County, Georgia (Danielsville, Ga.: Heritage Papers, 1973), pp. 705-06 (naming Samuel Johns Standard as his father). [S27] John Wright Boyd, A Family History: Lt. Thomas Fortson, etc., above, p. 706. [S27] John Wright Boyd, A Family History: Lt. Thomas Fortson (1742-1824) and Some of His Descendants—Early Settler of Elbert County, Georgia (Danielsville, Ga.: Heritage Papers, 1973), pp. 705-06 (naming Samuel Johns Standard as her father). [S312] Social Security Death Index, online at http://tinyurl.com/AncestrySSDI, viewed on 8 Jun 2003 (giving her name as Mabelle S. Dyson; giving the date but not naming the place). [S312] Social Security Death Index, online at http://tinyurl.com/AncestrySSDI, viewed on 8 Jun 2003 (giving her name as Mabelle S. Dyson; not naming the place of death but stating that she lived in Statesboro, Ga. when she died). [S312] Social Security Death Index, online at http://tinyurl.com/AncestrySSDI, viewed on 8 Jun 2003 (not naming the place of death but stating that he lived in Winder, Ga. when he died). [S312] Social Security Death Index, online at http://tinyurl.com/AncestrySSDI, viewed on 8 Jun 2003 (not naming the place of death but stating that he lived in Charlotte, N.C. when he died). [S27] John Wright Boyd, A Family History: Lt. Thomas Fortson (1742-1824) and Some of His Descendants—Early Settler of Elbert County, Georgia (Danielsville, Ga.: Heritage Papers, 1973), p. 709. Marriage*: He married Martha Worthington. Marriage*: She married John Calvin Fulton. [S27] John Wright Boyd, A Family History: Lt. Thomas Fortson (1742-1824) and Some of His Descendants—Early Settler of Elbert County, Georgia (Danielsville, Ga.: Heritage Papers, 1973), p. 709 (naming Martha Worthington as her mother). [S27] John Wright Boyd, A Family History: Lt. Thomas Fortson (1742-1824) and Some of His Descendants—Early Settler of Elbert County, Georgia (Danielsville, Ga.: Heritage Papers, 1973), p. 709 (naming William Rucker Fortson as his father). [S930] Elbert County Cemeteries, Vol. 1 (n.p. : n.pub., 2002), p. 150 (giving the year but not the month and date). [S931] Ann Clark Holloman, comp, Elbert County, Georgia Death Records 1875-1876 and 1919-1995 (Albany, Ga.: Ann Clark Holloman, 1997), p. 55, certificate no. 12664. [S312] Social Security Death Index, online at http://tinyurl.com/AncestrySSDI, viewed on 9 May 2004 (stating that he died in Nov 1980; not naming the place of death but stating that he lived in Elberton, Ga. when he died and that last benefits were sent to an address in Elberton, Ga.). [S312] Social Security Death Index, online at http://tinyurl.com/AncestrySSDI, viewed on 31 Jan 2004 (stating that he died on 9 Jan 1994; not naming the place of death but stating that he lived in Elberton, Ga. when he died). [S931] Ann Clark Holloman, comp, Elbert County, Georgia Death Records 1875-1876 and 1919-1995 (Albany, Ga.: Ann Clark Holloman, 1997), p. 56, certificate no. 15540. [S931] Ann Clark Holloman, comp, Elbert County, Georgia Death Records 1875-1876 and 1919-1995 (Albany, Ga.: Ann Clark Holloman, 1997), p. 56, certificate no. 3910. [S27] John Wright Boyd, A Family History: Lt. Thomas Fortson (1742-1824) and Some of His Descendants—Early Settler of Elbert County, Georgia (Danielsville, Ga.: Heritage Papers, 1973), pp. 225-26, 229, 711 (naming Delancy A. Fortson as her father). [S27] John Wright Boyd, A Family History: Lt. Thomas Fortson, etc., above, pp. 225-26, 229, 711 (naming Mary Ann [or Mary Anne] Almond as her mother). [S27] John Wright Boyd, A Family History: Lt. Thomas Fortson, etc., above, pp. 226 (giving the date but not the place), 229. [S931] Ann Clark Holloman, comp, Elbert County, Georgia Death Records 1875-1876 and 1919-1995 (Albany, Ga.: Ann Clark Holloman, 1997), p. 56, cert. no. 4856 (not giving the date or place but stating that she was sixty-nine years old when she died on 5 Jun 1947). [S27] John Wright Boyd, A Family History: Lt. Thomas Fortson, etc., above, pp. 229, 711 (giving the date but not the place). [S931] Ann Clark Holloman, comp, Elbert County, Georgia Death Records 1875-1876 and 1919-1995 (Albany, Ga.: Ann Clark Holloman, 1997), p. 56, certificate no. 4856. [S930] Elbert County Cemeteries, Vol. 1 (n.p. : n.pub., 2002), p. 149 (giving her name as Mary Allie Fortson). [S27] John Wright Boyd, A Family History: Lt. Thomas Fortson, etc., above, p. 711 (giving 15 Jul 1887 as her birth date). [S930] Elbert County Cemeteries, Vol. 1 (n.p. : n.pub., 2002), p. 149 (giving her name as Mary Allie Fortson and giving 8 Jul 1877 as her birth date). [S27] John Wright Boyd, A Family History: Lt. Thomas Fortson, etc., above, pp. 229 (naming Mary Allie Fortson as her mother), 711 (naming Mary Albert ['Allie'] Fortson as her mother). [S961] Find A Grave, online at http://www.findagrave.com, memorial for Mary Thomas Fortson Webb, memorial no. 36191284, viewed on 10 Apr 2017 (naming Mary Alice Fortson as her mother). [S27] John Wright Boyd, A Family History: Lt. Thomas Fortson, etc., above, pp. 229 (naming Mary Allie Fortson as his mother), 711 (naming Mary Albert ['Allie'] Fortson as his mother), 712 (naming Mary Albert ['Allie'] Fortson as his mother. Mary Thomas Fortson Webb, 1960. Photo originally posted to Find A Grave website by Find A Grave contributor, J_Dove222. Photo used by permission. Other Names*: Mary Fortson, Mary Thomas Fortson Webb, Mary Fortson Webb, Mary Thomas Webb, Mary Webb. [S27] John Wright Boyd, A Family History: Lt. Thomas Fortson (1742-1824) and Some of His Descendants—Early Settler of Elbert County, Georgia (Danielsville, Ga.: Heritage Papers, 1973), pp. 229 (naming Walter O. Fortson as her father), 711 (naming Walter Okeifer Fortson as her father). [S961] Find A Grave, online, above, memorial for Mary Thomas Fortson Webb, memorial no. 36191284, viewed on 10 Apr 2017 (naming Mary Alice Fortson as her mother). [S27] John Wright Boyd, A Family History: Lt. Thomas Fortson, etc., above, p. 711 (giving the date but not the place). [S961] Find A Grave, online, above, memorial for Dalton William Webb, memorial no. 36191489, viewed on 29 May 2017. Other Names*: Milton Fortson Sr.
[S27] John Wright Boyd, A Family History: Lt. Thomas Fortson (1742-1824) and Some of His Descendants—Early Settler of Elbert County, Georgia (Danielsville, Ga.: Heritage Papers, 1973), pp. 229 (naming Walter O. Fortson as his father), 711 (naming Walter Okeifer Fortson as his father), 712 (naming Walter O. Fortson as his father). [S27] John Wright Boyd, A Family History: Lt. Thomas Fortson, etc., above, pp. 229 (giving the month and year), 711. [S312] Social Security Death Index, online at http://tinyurl.com/AncestrySSDI, viewed 6 Jul 2003 (stating that he died in Jan 1971; not naming the place of death but stating that he lived in Elberton, Ga. when he died). [S931] Ann Clark Holloman, comp, Elbert County, Georgia Death Records 1875-1876 and 1919-1995 (Albany, Ga.: Ann Clark Holloman, 1997), p. 56, certificate no. 10524. [S27] John Wright Boyd, A Family History: Lt. Thomas Fortson, etc., above, p. 712 (giving the date but not the place). [S961] Find A Grave, online at http://www.findagrave.com, memorial for Milton Sidney Fortson Jr., memorial no. 153878591, viewed on 1 Nov 2015 (naming Milton S. Fortson Sr. as his father). Note*: She and her husband were first cousins once removed. • Her Find A Grave memorial is herre. [S27] John Wright Boyd, A Family History: Lt. Thomas Fortson (1742-1824) and Some of His Descendants—Early Settler of Elbert County, Georgia (Danielsville, Ga.: Heritage Papers, 1973), p. 226 (naming James Dozier Thornton as her father). [S961] Find A Grave, online at http://www.findagrave.com, memorial for Mary Eugenia Thornton Fortson, memorial no. 58751068, viewed on 27 Feb 2012 (naming James Dozier Thornton as her father). [S27] John Wright Boyd, A Family History: Lt. Thomas Fortson, etc., above, pp. 226, 712. [S312] Social Security Death Index, online at http://tinyurl.com/AncestrySSDI, viewed on 14 Jun 2003. [S312] Social Security Death Index, online at http://tinyurl.com/AncestrySSDI, viewed on 14 Jun 2003 (stating that she died in May 1974; not naming the place of death but stating that she lived in Elberton, Ga. when she died). [S931] Ann Clark Holloman, comp, Elbert County, Georgia Death Records 1875-1876 and 1919-1995 (Albany, Ga.: Ann Clark Holloman, 1997), p. 56, certificate no. 11262. 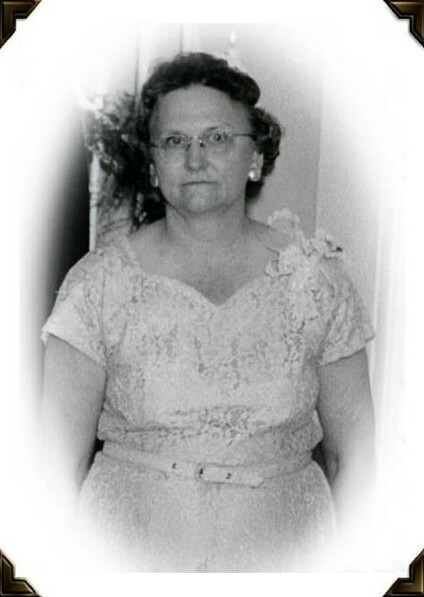 [S961] Find A Grave, online, above, memorial for Mary Eugenia Thornton Fortson, memorial no. 58751068, viewed on 27 Feb 2012 (giving the date and state but not the county). [S930] Elbert County Cemeteries, Vol. 1 (n.p. : n.pub., 2002), p. 149 (giving her name as Mary Eugenie Fortson). [S27] John Wright Boyd, A Family History: Lt. Thomas Fortson, etc., above, pp. 226, 712 (naming Mary Eugenia Thornton as his mother). [S930] Elbert County Cemeteries, Vol. 1 (n.p. : n.pub., 2002), p. 149 (naming Mary Eugenie Thornton as his mother). [S961] Find A Grave, online, above, memorial for James Allen Fortson, memorial no. 58750746, viewed on 27 Feb 2012 (naming Mary Eugenia Thornton Fortson as his mother). [S961] Find A Grave, online, above, memorial for Mary Eugenia Thornton Fortson, memorial no. 58751068, viewed on 27 Feb 2012 (naming Mary Eugenia Thornton Fortson as his mother). [S27] John Wright Boyd, A Family History: Lt. Thomas Fortson (1742-1824) and Some of His Descendants—Early Settler of Elbert County, Georgia (Danielsville, Ga.: Heritage Papers, 1973), pp. 226, 712 (naming Elijah Allen Fortson as his father). [S961] Find A Grave, online at http://www.findagrave.com, memorial for James Allen Fortson, memorial no. 58750746, viewed on 27 Feb 2012 (naming Elijah Allen Fortson as his father). [S312] Social Security Death Index, online at http://tinyurl.com/AncestrySSDI, viewed on 14 Jun 2003 (giving the date but not the place). [S961] Find A Grave, online, above, memorial for James Allen Fortson, memorial no. 58750746, viewed on 27 Feb 2012. [S312] Social Security Death Index, online at http://tinyurl.com/AncestrySSDI, viewed on 14 Jun 2003 (not naming the place of death but stating that he lived in Virginia when he died). [S931] Ann Clark Holloman, comp, Elbert County, Georgia Death Records 1875-1876 and 1919-1995 (Albany, Ga.: Ann Clark Holloman, 1997), p. 56, certificate no. 11444. [S961] Find A Grave, online, above, memorial for James Allen Fortson, memorial no. 58750746, viewed on 27 Feb 2012 (giving the date and state but not the county. [S27] John Wright Boyd, A Family History: Lt. Thomas Fortson (1742-1824) and Some of His Descendants—Early Settler of Elbert County, Georgia (Danielsville, Ga.: Heritage Papers, 1973), p. 713. [S312] Social Security Death Index, online at http://tinyurl.com/AncestrySSDI, viewed on 14 Jun 2003 (not naming the place of death but stating that she lived in Odell, Ill. when she died). [S27] John Wright Boyd, A Family History: Lt. Thomas Fortson, etc., above, p. 714 (naming Nellie Tankersley as his mother). [S27] John Wright Boyd, A Family History: Lt. Thomas Fortson, etc., above, p. 714 (naming Marion Veasey Walker as his mother). [S27] John Wright Boyd, A Family History: Lt. Thomas Fortson (1742-1824) and Some of His Descendants—Early Settler of Elbert County, Georgia (Danielsville, Ga.: Heritage Papers, 1973), p. 714 (naming Eddie Luke Fortson as his father). [S960] Athens Banner-Herald, Athens, Ga., online, above, viewed on 21 Apr 2004 (obituary of Marion Walker Fortson) (naming Marion Walker Fortson as his father). [S27] John Wright Boyd, A Family History: Lt. Thomas Fortson (1742-1824) and Some of His Descendants—Early Settler of Elbert County, Georgia (Danielsville, Ga.: Heritage Papers, 1973), p. 714. [S27] John Wright Boyd, A Family History: Lt. Thomas Fortson, etc., above, p. 714 (naming William Jackson Easley [sic] as his father). [S27] John Wright Boyd, A Family History: Lt. Thomas Fortson, etc., above, p. 714 (naming William Jackson Easley [sic] as her father). [S27] John Wright Boyd, A Family History: Lt. Thomas Fortson (1742-1824) and Some of His Descendants—Early Settler of Elbert County, Georgia (Danielsville, Ga.: Heritage Papers, 1973), p. 714 (naming William Jackson Easley [sic] as his father). [S312] Social Security Death Index, online at http://tinyurl.com/AncestrySSDI, viewed on 14 Jun 2003 (not naming the place of death but stating that he lived in Elberton, Ga. when he died). [S27] John Wright Boyd, A Family History: Lt. Thomas Fortson (1742-1824) and Some of His Descendants—Early Settler of Elbert County, Georgia (Danielsville, Ga.: Heritage Papers, 1973), p. 714 (naming William Jackson Easley [sic] as her father). [S312] Social Security Death Index, online at http://tinyurl.com/AncestrySSDI, viewed on 14 Jun 2003 (not naming the place of death but stating that she lived in Augusta, Ga. when she died). [S312] Social Security Death Index, online at http://tinyurl.com/AncestrySSDI, viewed on 14 Jun 2003 (not naming the place of death but stating that he lived in Appling, Ga. when he died). [S312] Social Security Death Index, online at http://tinyurl.com/AncestrySSDI, viewed on 14 Jun 2003 (not naming the place of death but stating that he lived in Hephzibah, Ga. when he died and that last benefits were sent to an address in Thomson, Ga.). [S27] John Wright Boyd, A Family History: Lt. Thomas Fortson (1742-1824) and Some of His Descendants—Early Settler of Elbert County, Georgia (Danielsville, Ga.: Heritage Papers, 1973), p. 716.